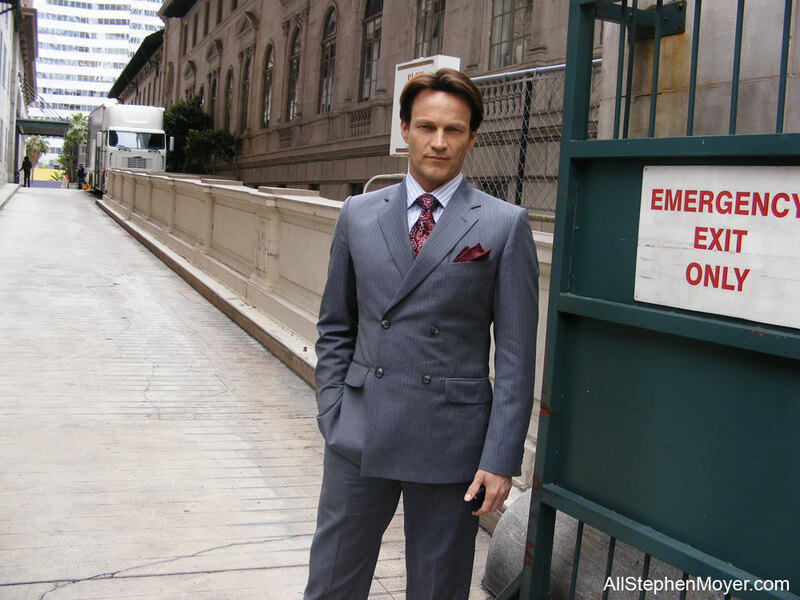 Yesterday, I went to the filming location of True Blood in downtown Los Angeles. 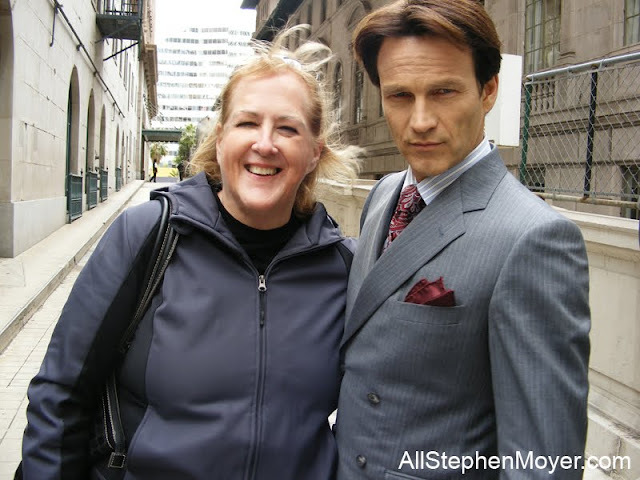 As per Onlocationvacations.com, True Blood was to be filming at the Millenium Biltmore Hotel and I thought I just might get a glimpse of some of the cast, particularly Stephen Moyer, if I waited outside. When I arrived, I met up with two other Truebie’s, M’Lou and Megan. We three were the only fans there and, unlike the typical LA weather, the sun was fading fast as the clouds and the wind rolled in. The girls filled me in on their adventure so far and M’Lou has written about it on her site atcinematicdebris.com. Unfortunately, Megan had to leave but M’Lou wanted to stay and I told her if she stayed with me, I’d be glad to drive her home. Poor M’Lou, she had no coat and it was in the 50′s and getting progressively more windy, cold and damp as the afternoon wore on, proving she is a real “trooper” for staying. 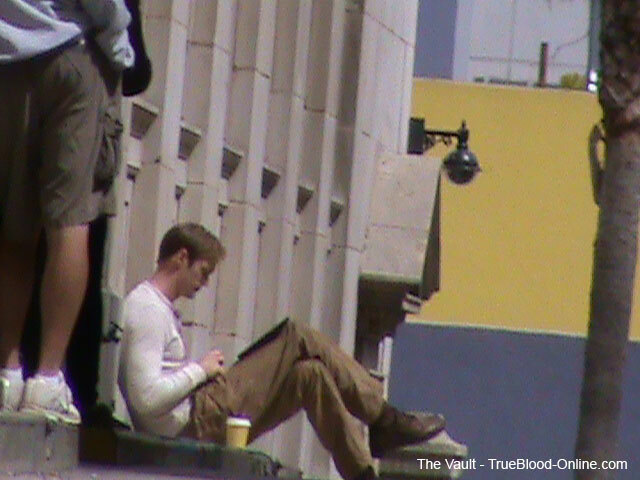 So far, the only person I had seen was Alexander Skarsgård at the top of the ramp, sitting down reading outside in-between takes. We were hoping that others too might appear outside, but as the day got gloomier, colder and more windy, I wasn’t so sure anyone would come out. 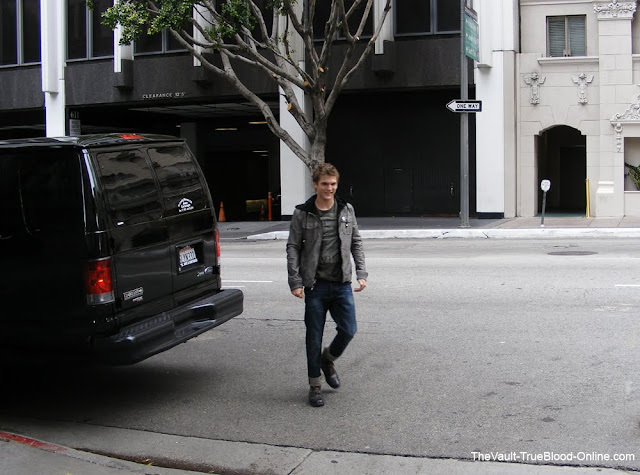 However, we did see Anna Paquin briefly as she was whisked to her van and back again to the set. We also saw two of the new cast members, Aaron Perilo who plays “Blackburn” and Annie Fitzgerald who plays “Kirsch” in Season 4. After that, we continued to talk to the guards who were watching the entrance and just waited. I had brought a Details magazine with me that had Alex on the cover to hopefully, get him to sign it, but he hadn’t noticed us, so far. We still hoped to get him later, though. Our plan was to go to the other street (the other side of the ramp) since that was closer to where he was sitting. However, I had just sent a message to Steve saying where we’d be, so because I hoped he might just get the message, I didn’t want to move yet. As always, he didn’t disappoint. Just when we had almost given up and were just about to leave for the “other side”, I looked up and there he was descending the long ramp looking super fine in a lovely double breasted striped grey suit accompanied by a maroon tie with a handkerchief in his breast pocket. As he descended, I couldn’t help expressing to him how great he looked, as you can hear in M’Lou’s video below. It’s odd to me how stars can just overcome all weather obstacles. While it was super windy and my hair was blowing wildly, Stephen’s managed to stay just “perfect” and not a hair on his head moved in the wind. He did look just great. They were filming in the ballroom of the hotel and there were lots of actors there, so I’m guessing it must be some sort of a big climax scene like in the church of Season 2, but that’s just my speculation. At any rate, there were a lot of extras on set that day and Stephen sure does look fine in that suit! Oh, did I already say that? 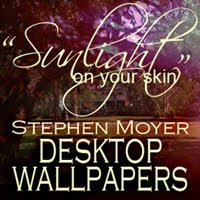 Below is a short video that M’Lou took of Stephen’s short visit for her site that she graciously allowed me to post here. I so appreciated him taking the time to come out and say a quick hello and pose for the photos with us. He then descended the ramp again and it was just as nice seeing him leave as arrive. We then moved over to the other street, as planned and waited for Alex to come out again to read. It had grown so cold and windy, that unfortunately he must have decided not to come back outside or, he was busy filming. So, since we had been there for most of the afternoon and it was near to 6pm, we decided to call it a day and went home. It was a great experience seeing the comings and goings of the production that I thoroughly enjoyed. Thanks to M’ Lou for braving the cold and allowing me to use her video.